Money isn’t everything….but it sure helps! The great thing about this business is that you are in control of what you earn. My name is Matthew Quartermaine and along with Jen my wife we work as a team in our business, with Jen taking care of the all the bookwork. I’m out on the road providing mobile detailing services as the owner/operator of Car Care Lesmurdie. After spending 26 years working in the Steel Reinforcing industry I decided it was time for a complete career change. In that time I had many different roles ranging from operating machines, driving forklifts, supervisor roles and being part of a strong safety culture, through to my most recent role as a Production Co-ordinator. I learnt many different life skills throughout my time working with many different and some colourful characters. I’d been feeling stale and felt I needed a new challenge in life. After thinking and looking for a while, I decided that purchasing a Car Care franchise was what I wanted to do. I wanted to be outdoors and meet new people. Car Care certainly gives me this opportunity and I am looking forward to many years of helping people and being available wherever possible. Being a part of our local community is very important to both my wife and I and our Car Care business allows us to have the flexibility to continue to do this. We are currently involved in sporting clubs. I play Baseball and my two children also play junior Baseball. My son plays footy in winter and my daughter has just started playing softball. I have coached a senior baseball team for the last two seasons and also coached a junior baseball team for one. I have always been involved with my sons Auskick as a coach/assistant coach. My name is Colin and I own and run Car Care Casey which services some of the South Eastern Melbourne Metro areas. My wife Fiona and I originally bought into the Car Care franchise in 2010. Prior to that I had worked for about 30 years as a butcher, and 5 years as a dairy farmer with very long hours, and making the boss a lot of money at the expense of my family time over the usual holiday breaks. I received training through Car Care with Clive Woodroffe in Queensland, and since that time have continually improved my car detailing with my direct experience, speaking and learning from colleagues and undertaking further training by watching videos and taking every opportunity that presents itself for me to refine my detailing and polishing work. It’s taken a long time to build up my business but I take great pride in my work, and in developing relationships with my clients. I have a regular set of clients who book me on an ongoing basis and I get a lot of pleasure out of doing a great job and getting the clients feedback about how happy they are with my work. Over the years I’ve progressed from doing basic car detailing to doing car shows and classic cars – one of my passions that I follow in my spare time. I have found that to get to the level of doing classic show cars, which is a niche market, you really have to learn the different ways of polishing these classic vehicles and I have done this by learning off and listening to the experts who have worked in this field for many years. This has really given me a lot of enjoyment. As a result I’ve had the opportunity to incorporate my business with heaps of show events, being cars, trucks and all sorts of vehicles, which includes Paint Protection, I have also learned that you never stop learning, it doesn’t matter if you’ve been detailing for many years. My experience has shown me that you need to find new and creative ways of promoting yourself and your business rather than waiting for the Franchise to give you work. Working this business has allowed me to take off time when it’s best for me, rather than the boss, and to tailor my day around anything else I need to do for my family. It has also enabled me to reap the financial rewards that come with hard work. In my old butchering days, it wouldn’t really matter how long or hard I worked for, I’d get the same wage rates, but with my detailing I can make very good money if I’m prepared to put in the hard work. On my best day I’ve made $1840. While there are always small jobs, I have also gotten jobs that pay big money – my best single job with a private customer has earned me $1500. I usually have a peak period over the summer/Christmas time, and my best earnings previously have been $6000 in one week, and several other weeks around the same time where I’ve earned $5000 plus. So the money is there if you are prepared to work hard, and have developed your reputation and experience. I will continue to promote my business under Car Care. Hi, I’m Darryl Day the owner operator of Car Care Gosford Shire. Being one of the new kids on the block having only been operating for just over six months I feel that I can give a relevant perspective of what it’s like to own and run a Car Care Franchise. I come from an engineering background where I was already making a reasonable living financially speaking, however I was suffering from the same place, same time, same faces syndrome. 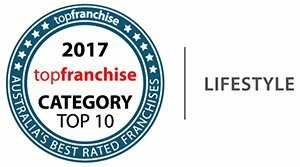 I unfortunately had an accident and was unable to work for many months so began to look at other options when the opportunity came up to purchase this franchise. I was ( and still am) blown away with the amount of information, support and guidance that is afforded you right from the initial meeting. You automatically become part of the Car Care Family which is both endearing but more importantly stress relieving as it can be daunting buying a new business, a new future! Part reason for buying a Car Care Franchise was that I could still earn a descent living whilst having the flexibility to work my own hours which would allow me to see more of my family and friends. Not only has owning a Car Care Franchise given me the flexibility to do this it has also given me new found friends, opportunities and security. I won’t lie, it can be a fickle business but the rewards far outway the downside. I get to meet some lovely local people, some eccentric, some serious, some with sad stories, some with happy stories but all different and all just as important as the other in the success of your new business. Then there is the locations you find yourself at . I live on the Central Coast NSW and had no idea of the awesome spots we are blessed with ! Oh and then there is the cars you get to climb over, in , through and sometimes drive and even go to shows or go around a race track in !! So in closing I would like to reiterate that if your looking to buy a business then I believe you need look no further than a Car Care Franchise as it offers you the opportunity to be your own boss, work your own hours, earn a good financial living and all this with the already proven business model and support that you just struggle to find when starting a new business. Believe me, I’ve been there. I’m Rod de Andrade and I recently started out the first Car Care franchise in Canberra. Before joining Car Care I was a franchisee for a couple of Anytime Fitness gyms, which I’ve recently sold. I’ve always enjoyed working so was looking for a business where I could have a similar lifestyle as the gyms with a good financial return, without the head aches of getting caught up with commercial landlords, with Car Care I’m my own landlord. I have 50 percent custody of my young children and Car Care has been a Godsend, as the week I don’t have the kids I work longer hours and the week that I have them, I get to do the school drop offs, make good money and then pick them up on time to start dinner and homework’s. Now as far as I’m concerned there isn’t many jobs out there that offer that type of flexibility. Canberra is still young, but the growth has been good and the support I get from head office is always second to none. I wouldn’t hesitate recommending a Car Care franchise to anyone. My name is David Warder and I purchased the Shire franchise of Car Care which covers the whole of the Sutherland Shire in Sydney NSW. Before joining Car Care I owned my own business for more than 30 yrs in the printing game. I am nearing retirement and was looking to buy a business that I could work into my semi-retired lifestyle without having to be tied down to a full time commitment. A good friend of mine John Mills who owns a Car Care Franchise in Parramatta NSW mentioned to me that he has managed to find such a perfect life work balance and he too is nearing retirement. I’ve always enjoyed working on cleaning my car. And working outside and having the ability to manage my working week around my golf days and still earn a good income REALLY APPEALED TO ME – it was an easy decision to make to purchase. From the first time I met the NSW state Master, I realised this business was for me. The support, training, flexibility, straight forward communication and continuous help from either head office or other franchisees have really made the initial stages very manageable. I bought my Car Care business in 2011 as I liked the balance between being relatively independent but at the same time being easily recognisable. I used to manage a small business with several employees, and all of the stress that comes with looking after them. When the opportunity to buy into the existing Car Care Kalamunda Franchise came up, it was a much better deal than what I was doing. I only have to manage myself and my customers, everything I need comes with me in the van, so I can do any job anytime, anywhere. As far as the business is concerned it is very simple, the customer books the job at a convenient time and place, I turn up, do a fantastic job, they pay and everyone is happy. I have a variety of business and residential customers. I can schedule work at times when I am available, if I want to work early, late or weekends, that is my decision. I love doing things little differently so I use solar power for most of my car park work instead of using the generator. I could probably have a another van working with me to keep up with all of the work I have. Hi, my name is Bruce and I am very proud to be a franchisee with Car Care, providing mobile car detailing services to Osborne Park, Innaloo, Doubleview, Woodlands, Scarborough and Trigg area. In my previous life I worked as a manager in the retail sector and had done for 30 years. I worked long hours and looking back I think this probably wasn’t as appreciated as I thought. I love working alongside a very professional group of likeminded car detailers. The Car Care brand is a well respected, proven product and is very well known in its field. They are always looking at new trends and have regular meetings where everyone’s input is welcome. I am confident that my eye for detail, willingness to work hard, and my passion and respect for my customers, will continue to produce excellent results. I understand that companies need to evolve to meet the changing needs of their customers. A phrase we use to use in the retail sector was “retail is detail”. Seeking out every opportunity to satisfy the customer’s needs. To have that eye for detail, and the desire to stay in front, this will bring benefits to my customers and to my time as a car detailer. For myself it was a complete change to what I was used to. I lost a lot of weight and have since got back into cycling which is great because this allows me to also spend some great times with my son who is into it as well. Hi, my name is Alan I cover the Maddington and other areas just south of Perth, and have been doing this for over 8 years. In a previous life I was a butcher. While this is obviously quite a change I bought some skills with me like the importance of looking after customers and having a “can do” attitude. I think this has helped me grow my business. For me the best part of being a franchisee with the Car Care group is I can create my own work life balance, set my own hours while still considering all my clients requirements, with this I get job and life satisfaction. While generally my business runs smoothly like anything you get the odd hiccup, my most frustrating problem is equipment failure, (I use quality equipment as do all franchisees in our group) luckily this isn’t a regular occurrence. I pride myself on being able to deliver a professional service and when I am unable to because of a breakdown it is a frustrating feeling. However this rarely happens and there is nothing better than getting a client’s car looking as good or better than when they bought the car, just the look on their face, priceless! Before joining the Car Care Team, I owned my own marketing business for over 5 years. Car Care has allowed me to work for myself, be in control of my own destiny and also the ability to choose the hours that I work to balance my family and my business. I have enjoyed starting my business in a new area and making it into a successful franchise by providing excellent customer service. I also enjoy helping time poor people having a nice clean car and feeling gratified by providing a professional service. What’s involved in becoming a Car Care Franchisee?